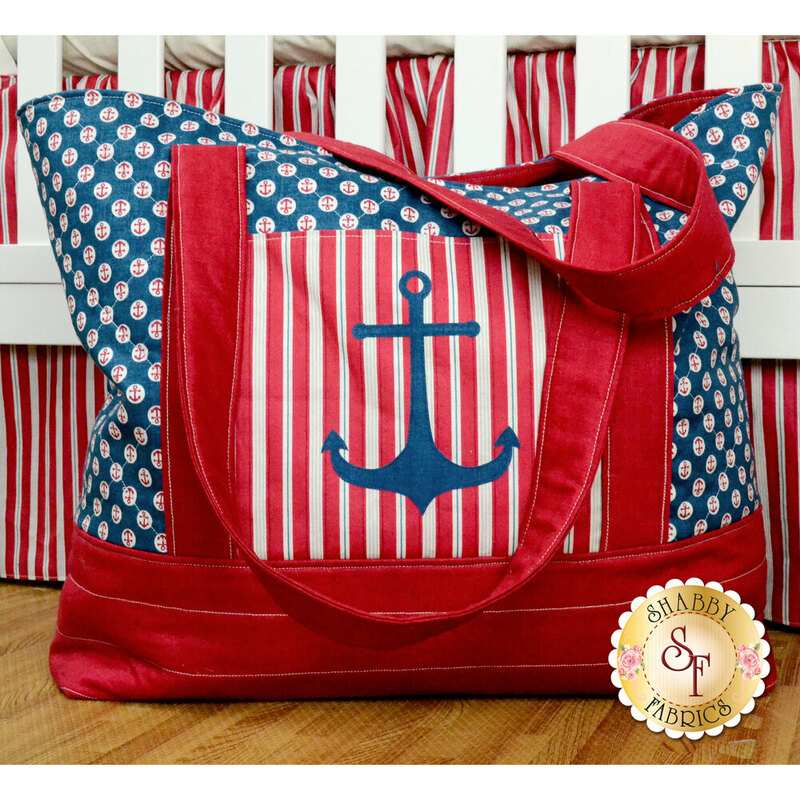 Create a beautiful nautical themed diaper bag! Measuring at approximately 16½" H x 22" W x 5" D (not including handles), this adorable bag will hold all your belongings comfortably. 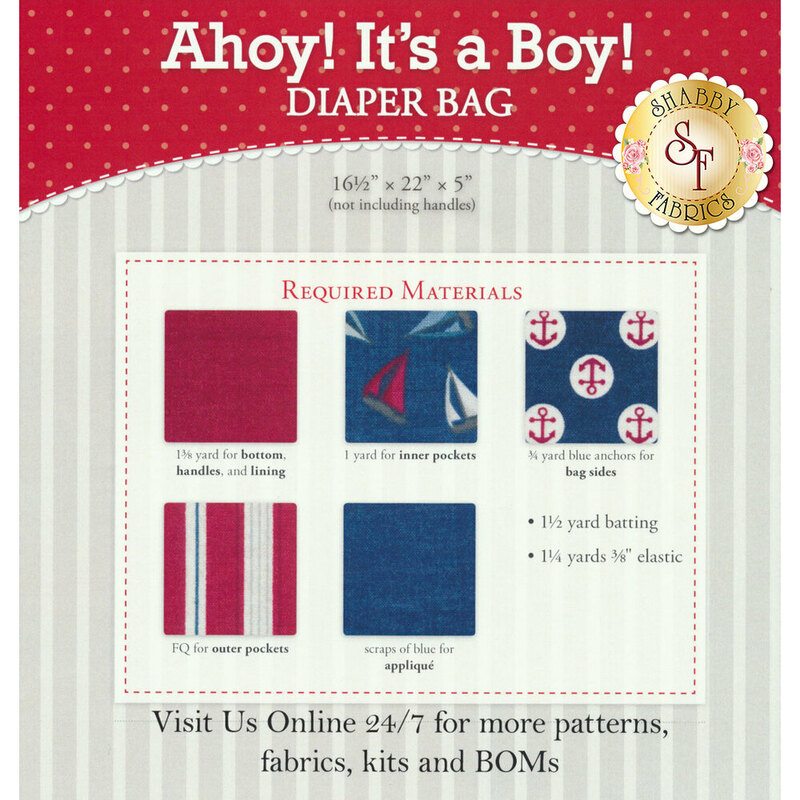 This full color pattern includes photo instructions to complete this diaper bag.